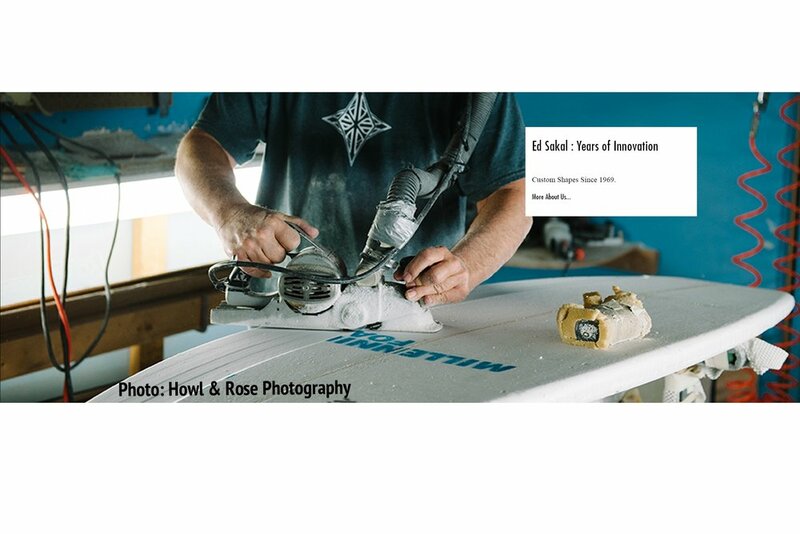 A family owned surf shop based out of Huntington Beach, specializing in custom made surfboards. With each board, we strive to provide our customers with a product that is built 100% based around you, for the waves that you surf. Every surfboard is built In-House never outsourced, always using the highest quality materials, allowing us to better a customer's experience in the water. We believe that getting the right board for you is ideal for having the most fun: that's why we offer a 2 Week Guarantee on all Stock boards and most Custom surfboards. * Ride the board for 2 weeks and if it's not feeling like that magic board, simply bring it back to the shop, where we can make adjustments as needed and get you a new custom surfboard and back out in the surf. Shoot us an email and we will get back to you as soon as possible. Or stop by or storefront located in downtown Huntington Beach. Here at Sakal Surfboards we give a two week guarantee on all of our new stock surfboards. We guarantee you will love your new board. If you don't, take it back to us within two weeks and we'll shape you a new one at no addition cost. Get a new surfboard for $300.00 with your trade-in. Good for all boards. Shortboards, Longboards, Fishes, Mid-ranges. Bring in your old board to the shop in downtown Huntington Beach and get a new one for $300. Some restrictions apply. Here at Sakal Surfboards we believe that finding the right board for you is key. We offer a variety of demo boards at the shop, that allow the customer to try out a board before they buy it. For more info or a up to date list of boards, contact us here.